these ginger cookies are soft, full of flavor and don't require molasses. 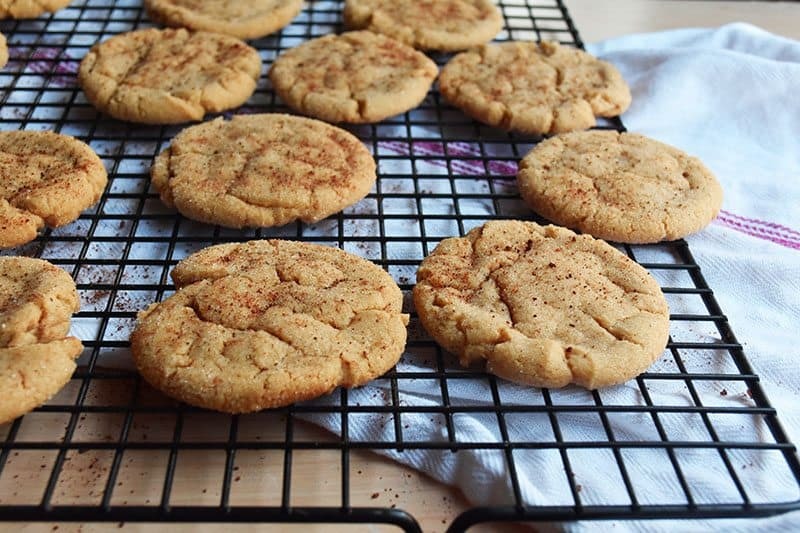 Once the weather cools down, ginger cookies are one of the best sweet treats you can have. They’re sweet, spicy, and warm up your throat and soul when the temperatures outside do the opposite. And here in our family, we love ginger cookies and eat them every year once the pants start coming out. Our ginger cookies are soft and best eaten warm and with a glass of hot apple cider (or a toddy :)). Preferably next to a fireplace, if you have one. If not, then next to some warm, cuddly animals. The point is, these ginger cookies are meant for relaxing. When I wrote about these cookies I thought to do a little bit of research on the history of ginger in baking. Apparently, ginger was used in cooking during the Middle Ages because it could disguise the taste of preserved meats. We mostly know ginger for gingerbread, and the term gingerbread was coined in Medieval England and originally just meant preserved ginger–it wasn’t until later that the word was used to describe desserts. Ginger, and ginger baked goods, have been around forever. In fact, the first known recipe for gingerbread dates back to 2400 BC! In the late Middle Ages, Europeans had festivals where the ginger cookies were so popular that the festivals were eventually known as Gingerbread Fairs, and the ginger cookies you could buy there were called “fairings”. Even the first American cookbook had three variations of gingerbread recipes. 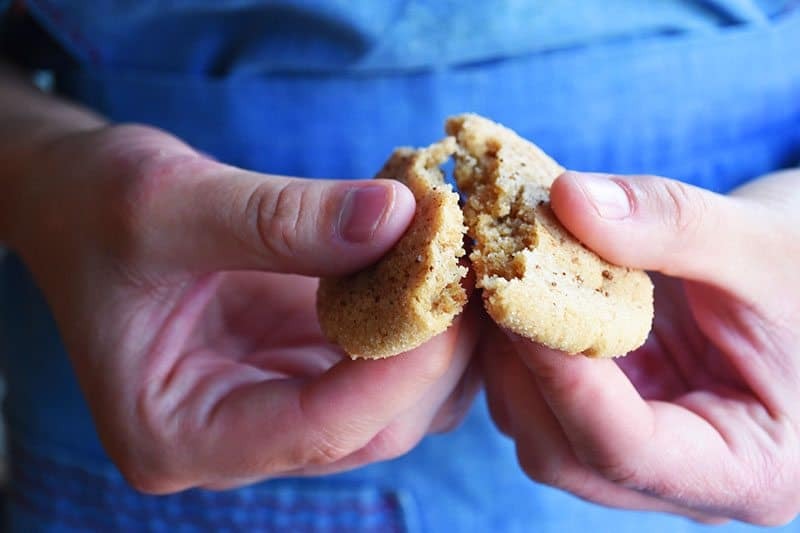 We can understand why ginger baked items have had such a long history…they simply taste sooo good. They are warm, comforting, sweet, savory, and all the good adjectives of fall. 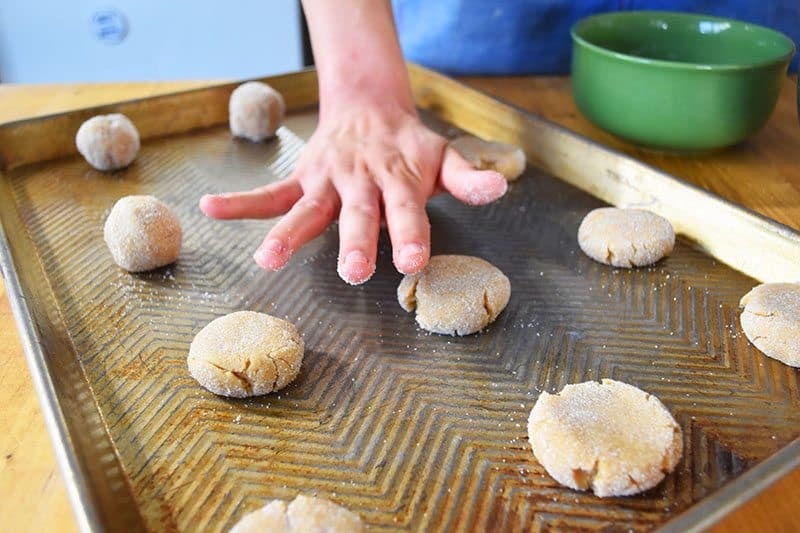 This recipe is Levi’s favorite cookie recipe and he asks for these cookies often. Sometimes I will mix a bit of cinnamon, cloves, and ground ginger into the sugar I use to roll the cookies in. Adding those spices ups the flavor. But lets be honest, most of the time I simply use sugar and call it a day. If you have kids helping you this will be their favorite part! Have them gently press the cookies down into flat little wheels. You’ll probably turn around to find them licking their palms to taste that sweet sugar. Ignore them ;). 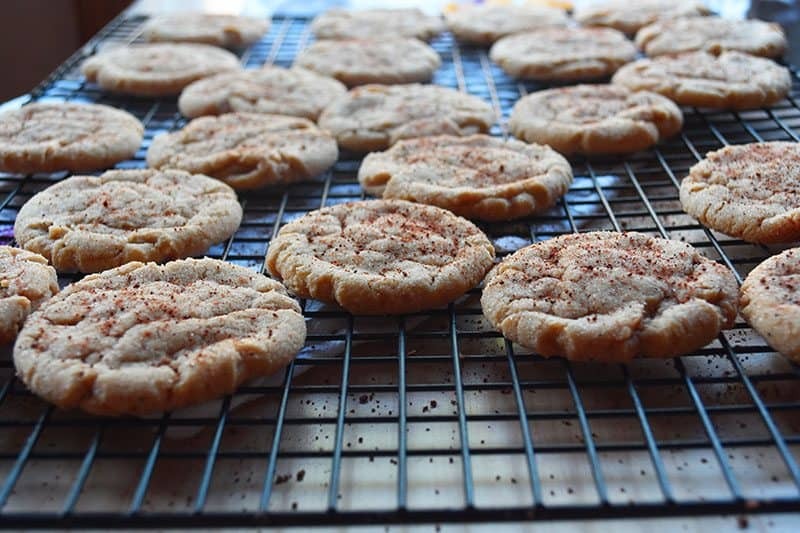 Sprinkle a bit of cinnamon on top of the finished cookies and enjoy them with a cup of milk, coffee, or tea. I dare you to only eat one! Sift flour, spices, baking soda, and salt. Set aside. Cream together the butter and sugars, beat in the egg. Gradually stir in the flour mixture into the sugar mixture. Stir well. 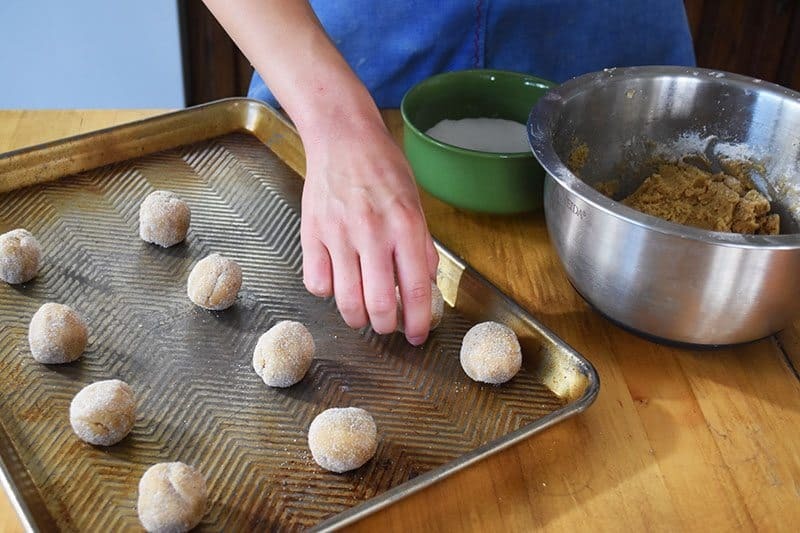 Gently form 1 inch balls from the dough and roll them in sugar, if desired. Put them on a ungreased cookie sheet and press down gently. YUMMM! I literally just sat down after having two freshly baked cookies! The best I have had! Thanks so much! I made 1/2 the recipe and added 3 or 4 pieces of crystallized ginger from Whole Foods. I’m in love! Can’t wait till Christmas to add these to the desert table! Love the addition of crystallized ginger…so yummy! Glad you loved these as much as we do and thanks for coming back and commenting! These were amazing! I substituted 6 tablespoons of white sugar for 6 more of brown sugar for a deeper flavour, and let the dough chill for a bit before baking and they turned out so pillowy and soft. This is my favourite gingerbread recipe now! Thanks for this recipe. My family enjoyed them. We are very light on sugar though so, I used honey 1/4 cup, and 3 Tbsp of brown sugar instead. I also did not use egg, because I have a thing about eggs :(, but I used some ground flax seeds instead. They turned out delicious. So glad to hear it! And great idea to sub out the flax seed for the eggs! Yesterday I baked your Ginger Cookies for the first time. 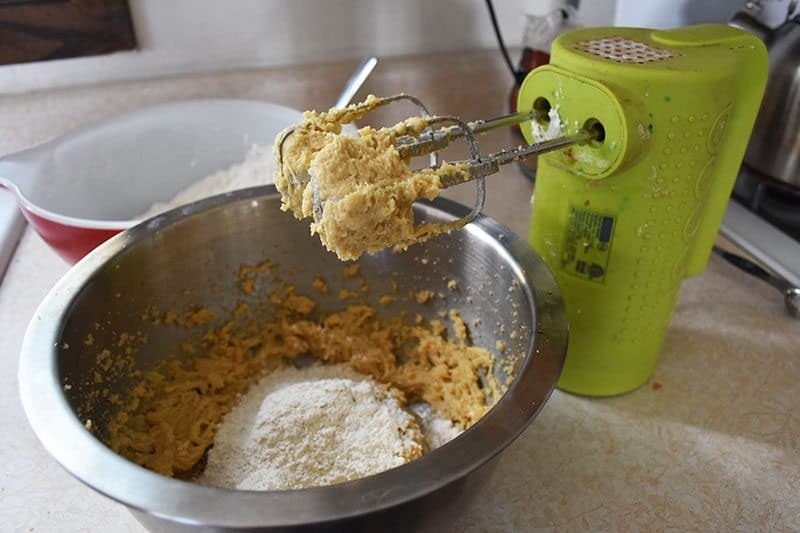 I know I am not the only person who bakes for family or friends that include someone who is diabetic and search for recipes for favourite treats either specifically designed for diabetics or allow for adjustments to accommodate them. My husband LOVES ginger cookies and grew up with them in England before diabetes was diagnosed. I have repeatedly searched for a recipe for him both during the many years we lived in England as well as here in the U.S. With a failure to bake ones that satisfied either his tastes and/or texture yesterday I adjusted yours substituting Splenda for the white sugar, white whole wheat flour for all of the flour and from other reader comments, used only a pinch of salt.No other changes were made. I rolled them in Splenda with additional ginger, cinnamon and cloves as you wrote you often do. I did not make any other changes and THEY WERE SO AMAZING in every way. WE LOVED them so much! Proof is that with only three of us eating them, we all want another batch baked so we won’t have a gap between finishing the last few and having new ones to satisfy our cravings! You have made us so happy that I had to share this in the hopes of helping others who are either diabetic, or simply want or need to watch their weight without missing Ginger Cookies! Sorry for the long length! 5 Stars are not enough!! Off to search your excellent site for more of your recipes! I am so very glad to hear that! 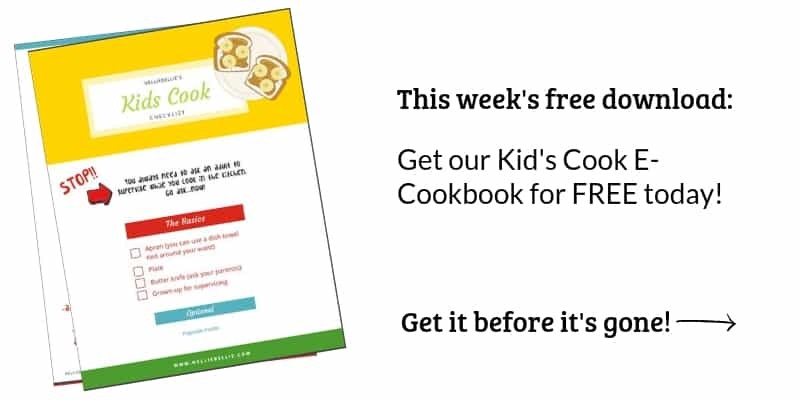 It can be a challenge to find recipes to fit dietary needs. So glad you enjoyed them as much as we do.